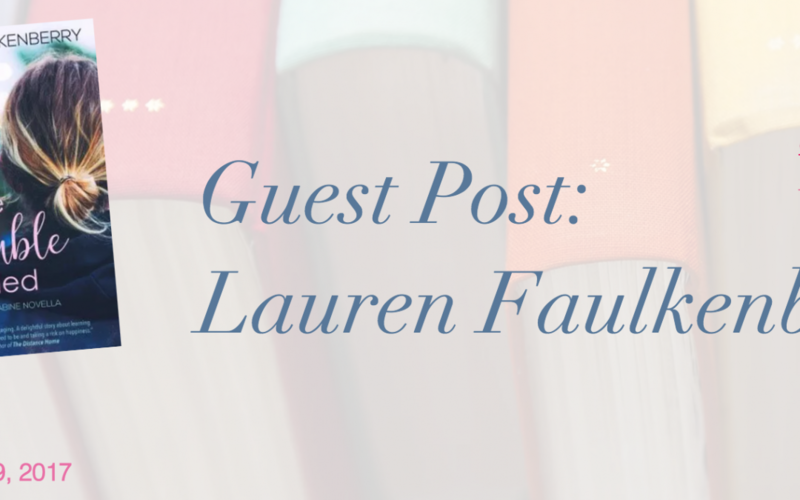 This month, Book Blogger Daisy Mae of Dating Daisy (@daisy_sharer) reviewed JUST THE TROUBLE I NEEDED by Lauren Faulkenberry, and hosted a guest post of Lauren’s 10 favorite recent reads. Thank you, Daisy! Publishers and authors can’t do what we do without readers and reviewers like you. Read on for an excerpt of the post and links to Daisy’s site for the full piece and the book review. Today I’m writing about the best books I read this year. As a writer, I’m always looking for good stories, and reading keeps me inspired and wanting to write. I read all kinds of genres, from literary fiction to paranormal romance. A good story is a good story, regardless of genre, and I learn a little something from all of them. To borrow Michael Kardos’s words, these books made me pay attention; they reminded me what it feels like to be human. Click to read the Dating Daisy review of Just the Trouble I Needed.